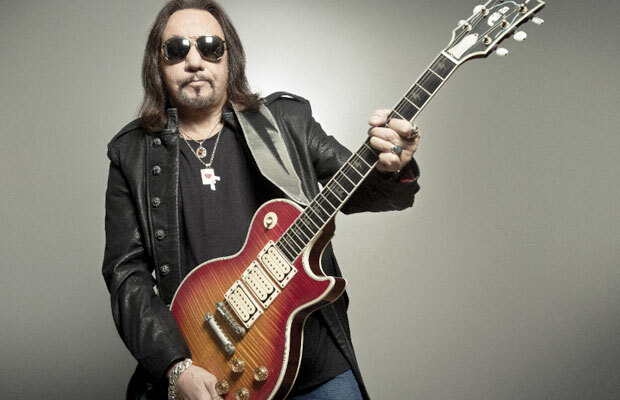 MetalRockNews: Ace Frehley: "I don't hang out with the party crowd anymore"
Ace Frehley: "I don't hang out with the party crowd anymore"
Former KISS guitarist Ace Frehley was recently interviewed by The Weeklings, you can read some excerpts below. About what the "rock-bottom moment" was for him that helped him get sober nearly ten years ago, he said: "I got a call from my daughter, Monique. She said, 'Dad, you gotta stop, you're going down a bad path.' I looked at myself in the mirror and knew she was right. That was my moment of clarity. I knew I had to make a change, and thank God for it. A lot of fans say, 'Ace, you helped me get sober. I figured if you could do it, I could do it too.' That makes my day." Frehley added: "I had been to some AA meetings in the past, so it wasn't new to me. I knew I could get help and I knew I had friends there. So, yeah, I knew I had a support group in place; it was just a matter of utilizing them and reaching out. With the help of a 12-step program and the help of prayer and my family, I get through one day at a time. I can't believe it'll be ten years this September. Miracles do happen." About the ever-important step of finding new friends while he was early in his recovery from addiction, he said: "When you change your life, you change the people that you hang out with. I don't hang out with the party crowd anymore. I connect with people who are healthier in mind and spirit. I met a great gal seven years ago and she's taught me how to enjoy life without drugs and alcohol." According to Ace, maintaining a healthy lifestyle on the road is essential in sobriety, especially early sobriety. He said: "I don't anything real specific. I just try to focus on a high protein, low-fat diet, get some exercise and drink a lot of water. I take some vitamins, but I'm not a vitamin nut or anything. I just keep putting one foot in front of the other. I don't believe in anything to the extreme. I don't eat a lot of red meat, but I still love a steak once in a while."